Deadline to submit an abstract is September 17, 2012. Step 1: Register for this year's Hopkins Imaging Conference: HIC 2012. Go to http://goo.gl/4ZZff, and follow the registration steps. 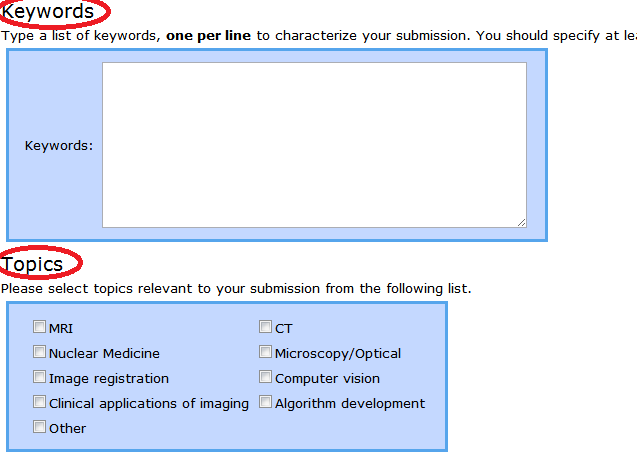 Step 2: Submit an abstract under your HIC 2012 account. Log into EasyChair 2012 via https://www.easychair.org/account/signin.cgi?conf=hic2012 and follow the instructions for submitting on EasyChair described in the EasyChair Instructions section below. The abstract format is described in the Abstract Format section below. Accepted abstracts will be presented as traditional posters during the Poster session. Each abstract will be reviewed by our panel of judges. If your abstract is accepted, you will be notified by October 26, 2012. By submitting an abstract, you are confirming that, if your abstract is accepted, you will present a poster at the conference. Otherwise, we must remove your submission from the list of accepted abstracts on our website. After logging into EasyChair, click on New Submission at the top. 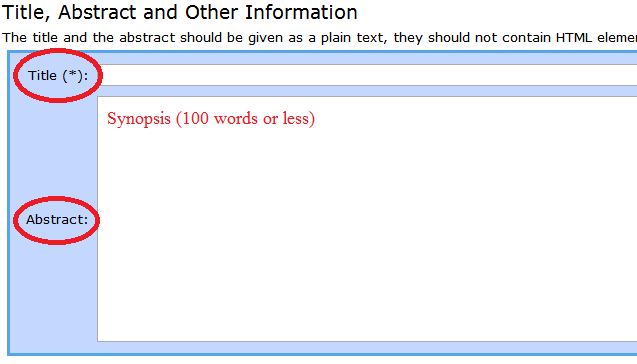 Next, fill in the Title and insert your Synopsis (100 words or less) in the Abstract field. Fill in Keywords and Topics. 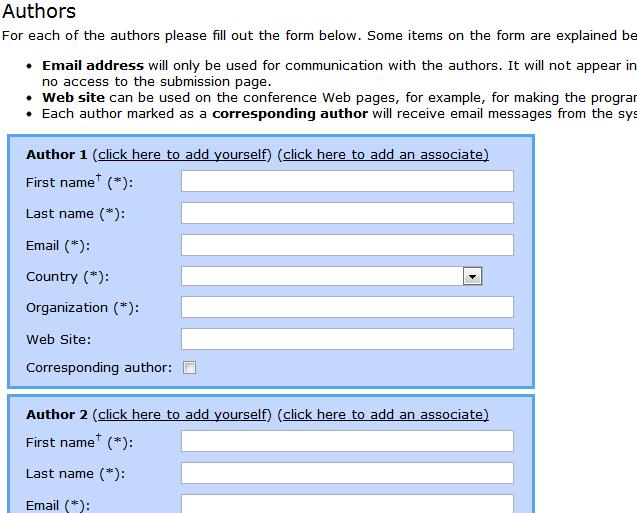 Lastly, under Upload Paper click Choose File and attach your two-page abstract in PDF/DOC/DOCX. Do not click on the abstract only box. The abstract MUST be in the format described in the Abstract Format section below.